Sophomores from around the area participate in the Sophomore Summit at S.I.T. on Wednesday, April 10, 2019. 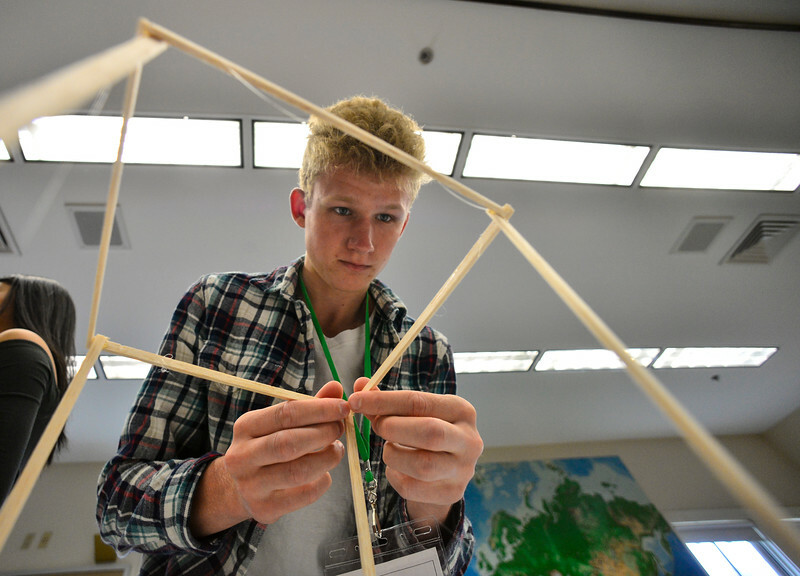 Finnlay Fisher, a sophomore at Twin Valley Middle High School, focus on building his town during the Sophomore Summit at S.I.T. on Wednesday, April 10, 2019.